And if we kept going, it would spiral inward more and more, which when doing a cutaway view (essentially, starting only with, say, 3/4 or 1/2 of the initial circle), we get the original picture shown in Part 1. But actually, it is more interesting to see what happens if we just unfurl it in a straight line (in the spirit of the original definition as an identification space)... and let the mapping continue past t = 1. 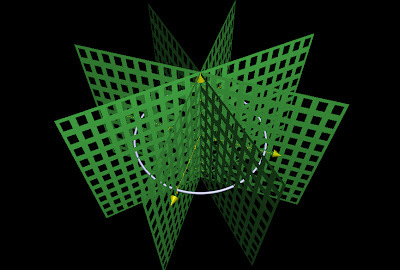 The result is the title picture, which shows what happens when we proceed to t = 3 (which corresponds to the transformation T3). Forget donuts, let's do pasta (more comprehensively, here)! 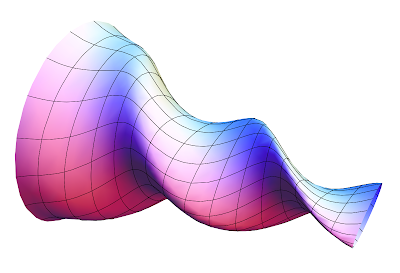 Of course, we know that this shows our bundle is trivial—the only way to get a nontrivial bundle this way is to have a transformation with a negative singular value, in which case, since we can't raise negative numbers to real powers and stay in the reals, makes the above construction fail, as it should (since a nontrivial bundle fails to have a continuous global frame). So what good is this, really, besides making things pretty? 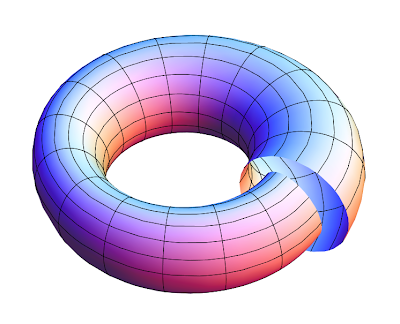 As it turns out, such oddly behaving, yet topologically trivial bundles, do have some interesting, different geometry. 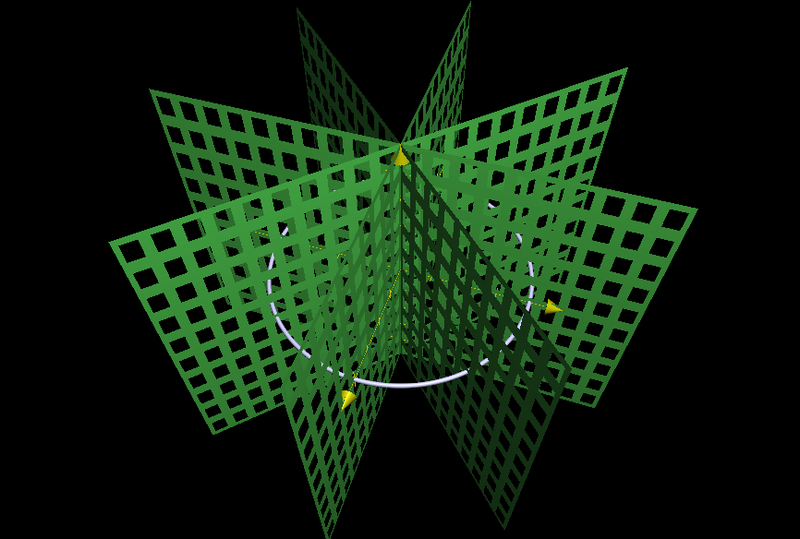 It is encoded in the notion of connection—a connection will reveal nontrivialities in the geometry that topology cannot (in fact, Riemannian geometry starts out by considering a connection specifically on the tangent bundle, the Levi-Civita [LAY-vee CHEE-vee-tah] connection). This is an interesting topic for yet another part (I'm not promising it soon, however! ).